The AE5400 delivers pristine sound quality demanded by the most discriminating microphone user. With its superb sonic design, this true condenser features superior anti-shock engineering for low handling noise and quiet performance! 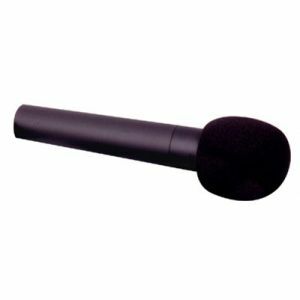 Featuring the same element as the classic AT4050 studio mic, its large-diaphragm capsule assures an accurate, natural response. Audio-Technica Artist Elite AE5400 Cardioid Condenser Handheld Microphone handles high SPL's and offers protection against plosives/sibilance without compromising high-frequency performance and clarity.